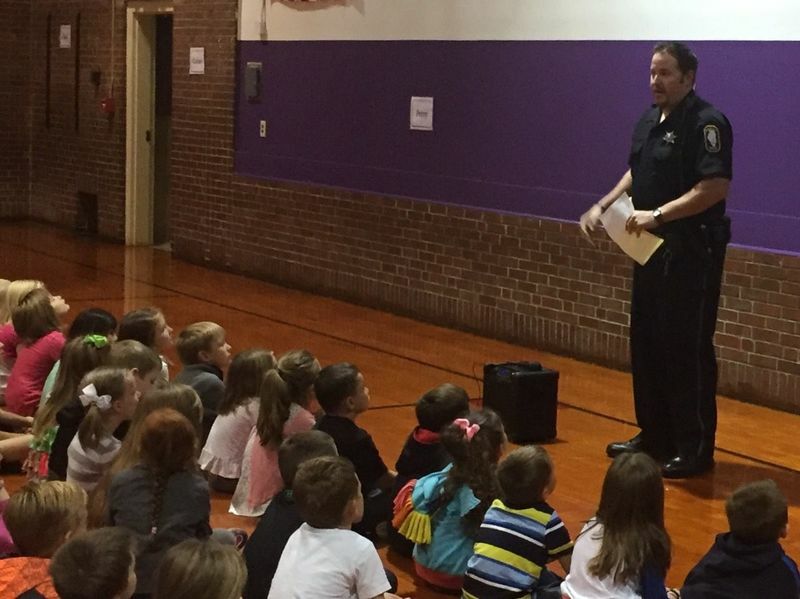 OWNERSHIP - "Your LIFE is Yours"
Shelbyville Main Street School & Kindergarten Center is completely invested in the Social / Emotional Development of our youth w/ equal value to academic. The two areas are interrelated and often the Social/Emotional hinders or serves as a catalyst to student achievement. The point is that self-regulating emotions or recognizing feelings & perspectives of others has as much, if not more, effect on achievement than a few more multiplication facts in a minute correct. October has been the month we focus our conversation on OWNERSHIP. This is a “Mindfulness” concept where students are self-aware and “own” their actions & attitudes. A central message is that we usually develop this by making a few mistakes. Many adults shared personal examples & some were even embarrassing but the goal was to send the message that failure is inevitable & is often necessary but we need to learn from our mistakes. This is a “Growth Mindset.” We tell our students that there is nothing that someone else can learn that you can’t. This is important because people meet expectations, especially their own. We need students to realize that the problem is not aiming too high and missing; the problem is aiming too low & hitting. The “mindset” is that if I work hard enough w/ some strategy, I will learn & I desire to take full advantage of the learning opportunities I am afforded. 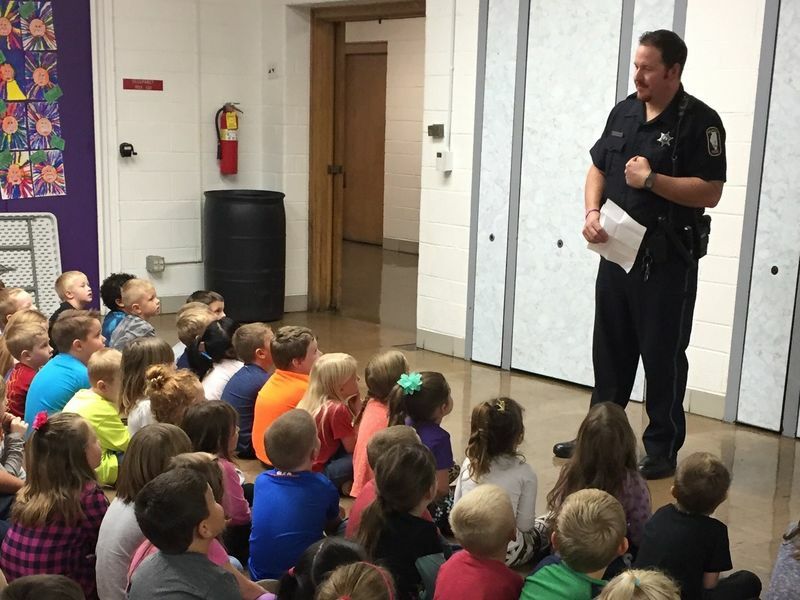 Local Police Officer, Eric Culberson, spoke to the Main Street & Kindergarten students regarding OWNERSHIP. He began by defining Ownership in the typical use, possession. Then, he linked to the character trait of self-aware and accountable. 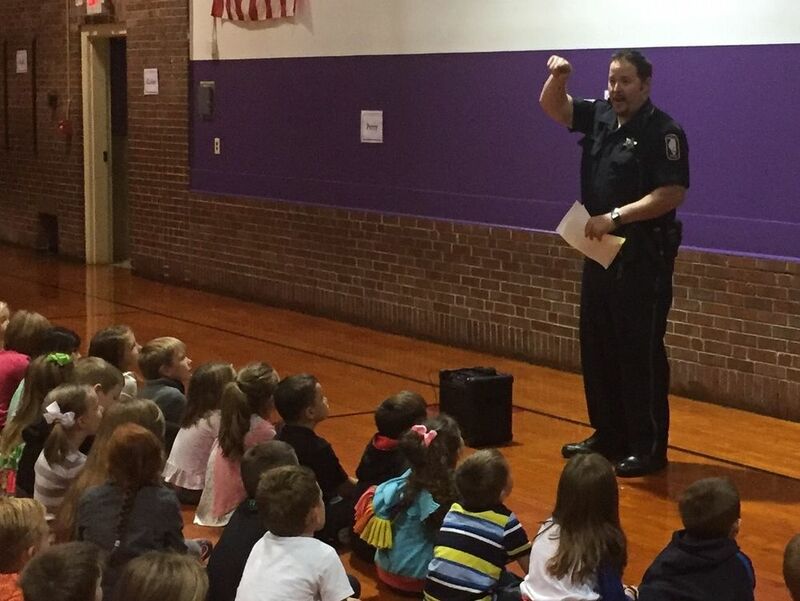 Officer Culberson is a Shelbyville Alumni and related to the students as a past student of Main Street School & he sat in the gym w/ many of the students’ parents. He had to learn; he had to make mistakes. He shared a few personal anecdotes w/ some humor but w/ a purpose. He also used a few examples very relative to common student scenarios. Officer Culberson also described ways to “own” who you are. He advised students to listen to that “little voice in their head” & often their instinct steered them truer than what provided the most immediate gratification. Will this hurt anyone else? Is this fair to others? How will I feel later? What will adults I respect think? These are some guiding questions to become habits. There is so much strategy into to developing our youth as the future. There is so much more than just seeking pleasure; avoiding consequences as productive citizens. Now is the time to help our youth “own” who they are; they “own” the future.